There is a mini forest of Buckhorn Cholla just down the road in the National Natural Landmark at Lake Mead City Arizona. I posted about the NNL here. Buckhorn Cholla bears that name because the branches resemble deer antlers. Ouch is the word that comes to mind when you see these cactus. My dog ran home one day with a broken stem in his mouth. Pulling spines out is tricky because the ends are barbed. He never picked up another piece of cactus! The spines are about 2 inches long. This group isn`t blooming yet, some buds are present. The flowers are yellow. 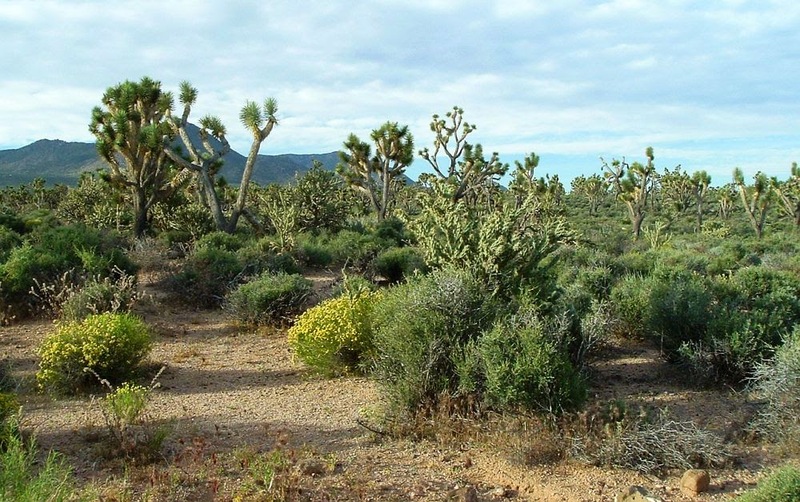 This Cholla is found over most of Arizona, southern Nevada, California and Utah. 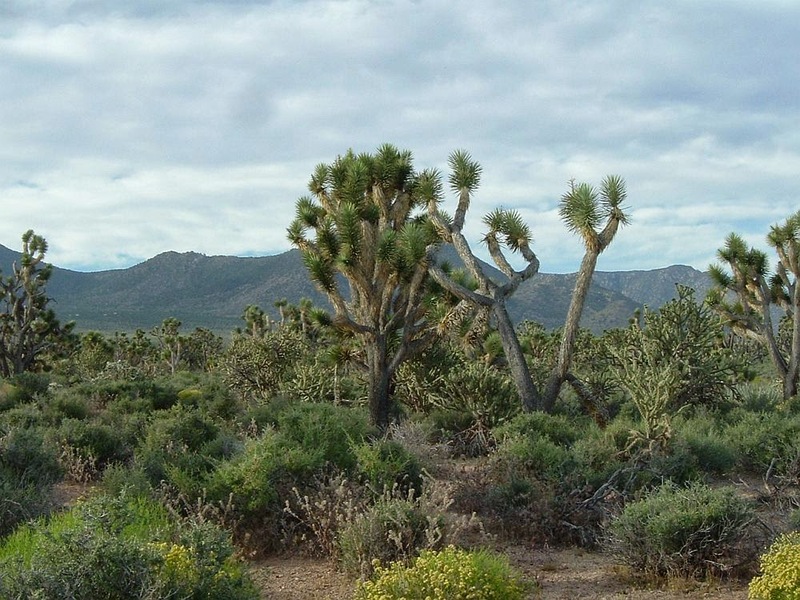 Buckhorn Cholla and Joshua Trees. Garnet Mountain in background. Near Meadview AZ. 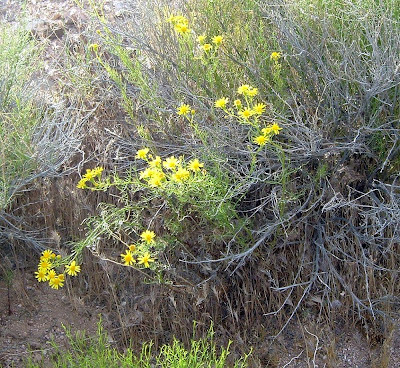 This is Brittle Bush, a member of the sunflower family. The branches are brittle, the petals are a bright sunny yellow. This has been a prolific season for this wildflower due to our winter rains. We are in the Mohave Desert, Northwestern AZ at 3,500 feet. Just goes to prove you can find beauty almost anywhere. I accidenty brushed against a cholla cactus while we were rekeying a house in Borrego Springs a week or so ago..was surprised to feel it pierce my calf and then it broke off onto my jeans....thankfully, I was able to scrape it off my jeans with my screwdriver with no problem....they break off easily don't they? wondered if that was the way, they propagate?